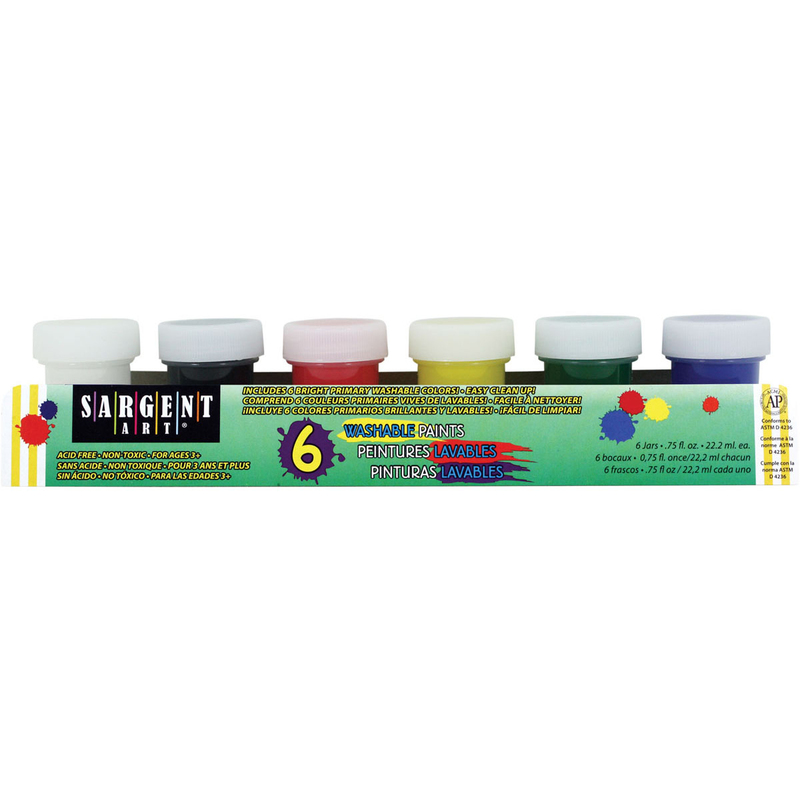 Sargent Art-Washable Paint Set: Primary. Bright, primary washable colors for easy clean up! Acid free, non-toxic. This 10X2X2 inch package contains six .75fl oz jars. Recommended ages three and up. Conforms to ASTM D4236. Imported.